Forty-five years ago, three men and one woman became mired in a notorious miscarriage of justice that continues to tarnish the name of British justice. In January this year, it was announced that the inquest into the 1974 Guildford Pub bombings that killed five people would be resumed. The inquest had been suspended in 1975. At the time there wasn’t any question over who was guilty of the bombings. Three Irishmen, Gerry Conlon, Paul Hill and Gerry Armstrong, and Gerry’s English girlfriend, Carole Richardson, all signed confessions stating they carried out the attacks. For many of the public, and for the judge who presided over their trial, the only contentious issue was that the three men could not be hanged for their crimes. 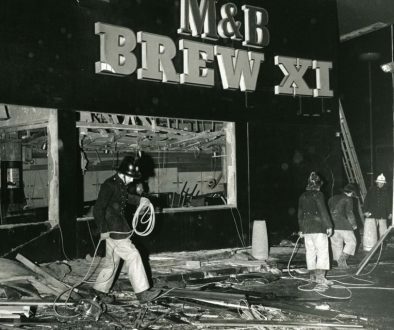 In 1974, the IRA’s bombing campaign in mainland Britain was causing panic. The people and the press were angry. There were repeated calls, inside and outside parliament, for the return of capital punishment. Irish people in England hid their accents in public; they were spat at in the streets, beaten up outside pubs. There were attacks on Irish homes. A panicked Labour Home Secretary, Roy Jenkins, introduced the temporary Prevention of Terrorism Act which allowed police to hold suspects without charge for a week. The first man held under the new powers was a young Belfast lad called Paul Michael Hill. Paul had come to London to pick up casual work and escape the Troubles back home. After a week in the cells of Guildford Police Station, he had confessed to his part in eight murders and three pub bombings and he implicated every person he knew in London. Paul remembers his rationale back in the interrogation room. His confession and the list of people he implicated were so ridiculous and absurd the police would soon dismiss it. Instead, his testimony set a ball rolling that would led to more arrests, more interrogations and more confessions that would decimate the lives of the other members of the Guildford Four. The confessions Paul and the others signed had been beaten out of them. Paul underwent mock executions, was beaten and thrown down metal stairs along with sleep, water and food deprivation and threats made against his family and his pregnant girlfriend. Evidence that would have helped clear the suspects, including forensic data and witnesses who could provide alibis when the bombs went planted, was not revealed at the original trial. Equally compelling was the 1977 trial of the so-called Balcombe Street gang, genuine IRA bombers who confessed in court to carrying out the bombings. They exonerated the Guildford Four. Despite all this it would take 15 years and a lengthy, frustrating campaign that garnered support from former Law Lords and Home Secretaries, including Roy Jenkins, US Senators, Archbishops and even Soviet leader Michael Gorbachev, before the Four had their convictions quashed and they were released. Paul Hill sent letters to his family across those stolen years. The letters are, at turns, poignant, angry, philosophical and funny, but always articulate and filled with the rage of an unjustly accused man. After his release, Paul donated the letters to the Irish archive of the London Metropolitan University. When I contacted Paul, who now lives quietly in Washington DC, to ask permission to use them he told me what he hoped people would learn from the letters. “I took some comfort from the thought that at least my misfortune would lessen the possibility of it happening to others. 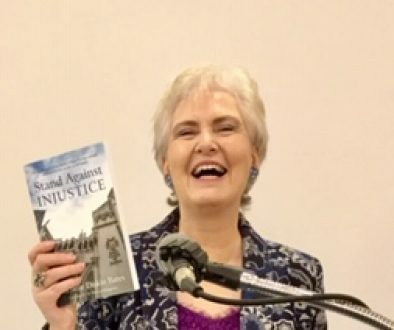 “It would appear that nothing has been gleaned from the many miscarriages of justice, especially those with political overtones. It feels like Paul is right. The Guildford Four, Maguire Seven, Birmingham Six. These notorious miscarriages of justice are a stain on the name of British justice. They occurred because the authorities, fearing to the mob in the streets, withheld basic tenets of our criminal system to suspects and turned a blind eye to police brutality and torture. Today, there’s a President in the White House who repeatedly praises torture. Closer to home, we see a UK and Europe where an ugly strain of angry, popularist politics is on the rise, and a climate of nationalist swagger and intolerance are becoming increasingly normalised. The mob are being listened to again. Fifteen is a short film that tells the story of the Guildford Four and has been selected to be part of the Belfast Film Festival, which runs from 11 to 20 April.